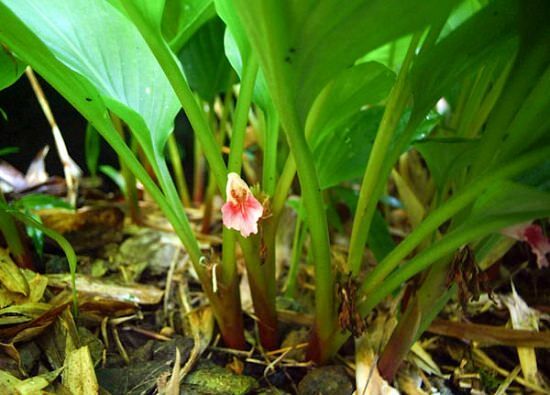 An essential ingredient in Thai and Cambodian recipes, krachai or Chinese ginger is one of the rare & exotic herbs grown in Southeast Asia. 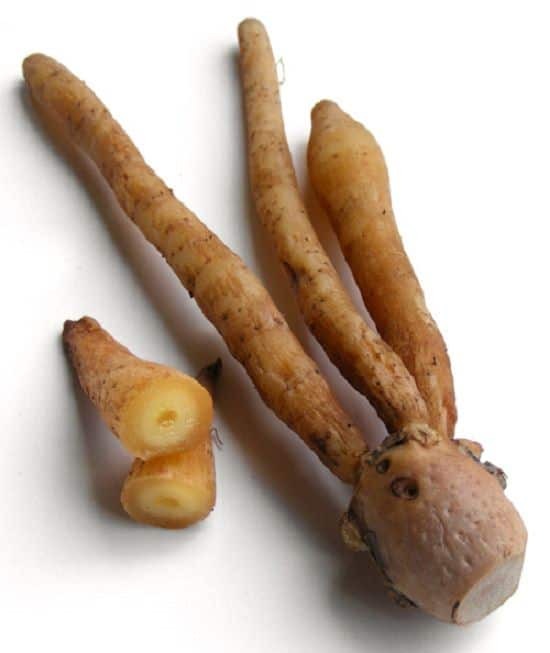 Its rhizomes are used as a spice, exude mild ginger and citrus like flavor. Unavailable fresh in most parts of the world, so why not plant it in your backyard? Learn how to grow it and enjoy it fresh. Growing it is similar to ginger plant. 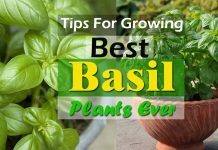 If you’re growing it in a container, you can plant it any time, unless spring is the best growing season. It’s a slow grower and reaches up to the height of 2-4 feet. The plant looks vaguely like iris and blooms beautiful pale pink flowers. 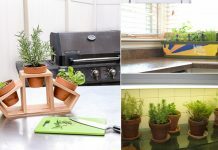 It looks wonderful in balcony or patio. Plant rhizomes 5 cm deep with the eyes facing up in good potting soil, keep it in partial shade in less windy spot. It prefers slightly moist soil of pH level 6 to 8 and humid surroundings. 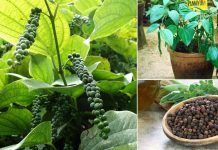 USDA Zone 8-12, it is easy to grow in subtropical and tropical region, but if you’re living in colder part below Zone 9 place it in a sunny spot and keep it indoors in winter. Dig out the rhizomes when plant start to wilt and leaves become yellow or harvest its leaves to make tea. Both leaves and rhizomes are edible. It’s grown for medicinal uses in China and India and for culinary uses in East Asia. It can be eaten raw in salads, with fishes, made into pickles, can be used in seafood. You can also use it in soups and curries. Also called as lesser ginger, no cook will replace it by ginger. Mouth watering recipes like khanom jin, fish amok and khao chae (a delicious summertime Thai dessert) are prepared using it.